The Boston Marathon is one of the most exclusive marathons in the world, and the only major marathon that requires participants to run a qualifying time to earn entry (exceptions do apply, however, see below). 20,081 qualifiers (86% of the qualifiers who applied for entry) were granted entry (see note below). 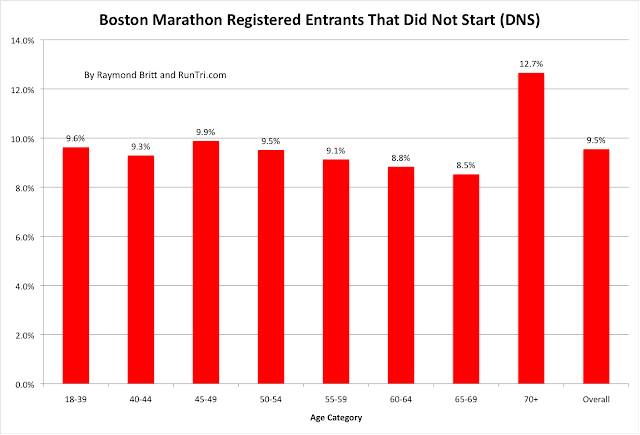 4,400+ additional entrants apparently were accepted into the race; who are they? 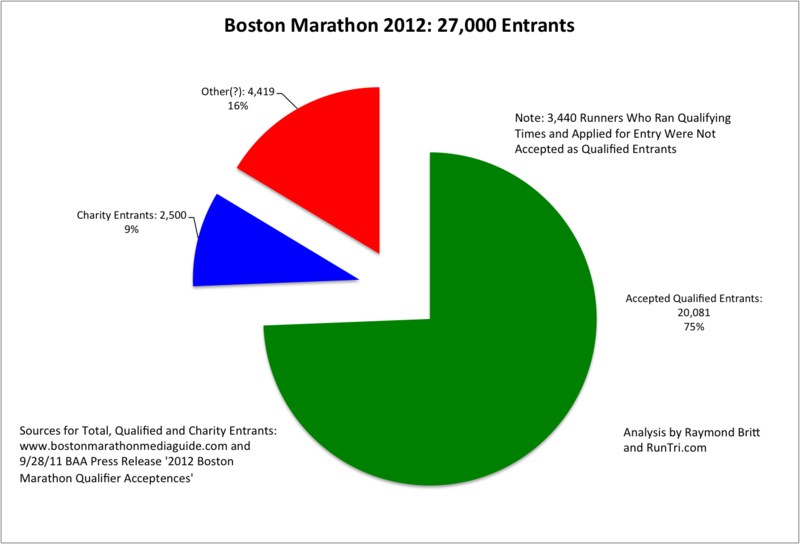 how did they gain entry? 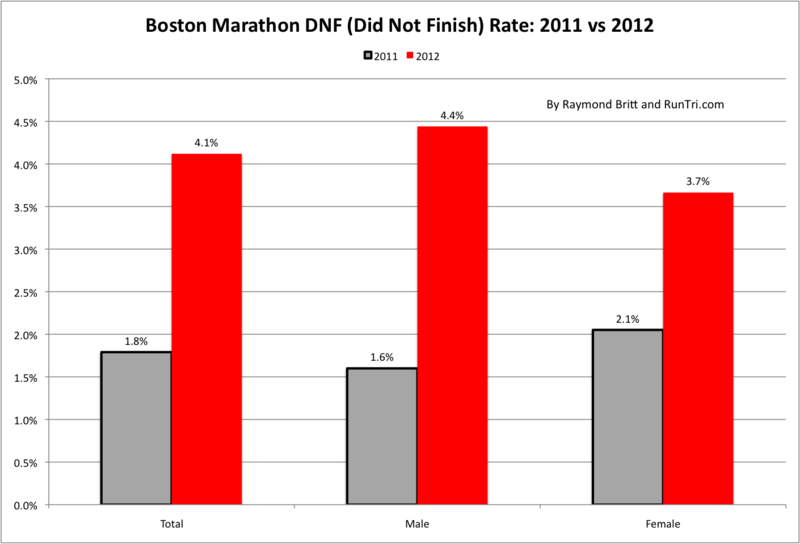 In 2011, 26,907 lucky runners were accepted to compete in the Boston Marathon. Of those that started the race, 23,879 finished. 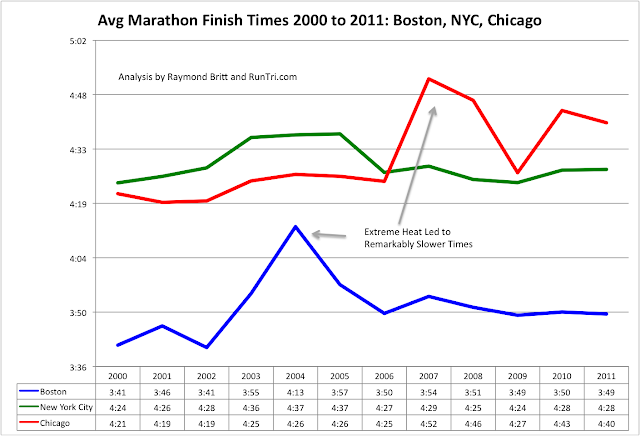 Only 459 starters did not cross the finish line in Boston, less than 2% in most age groups. 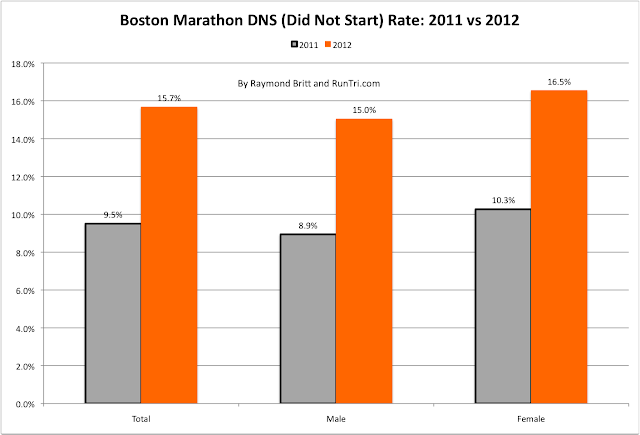 But how many did not show up at the starting line? 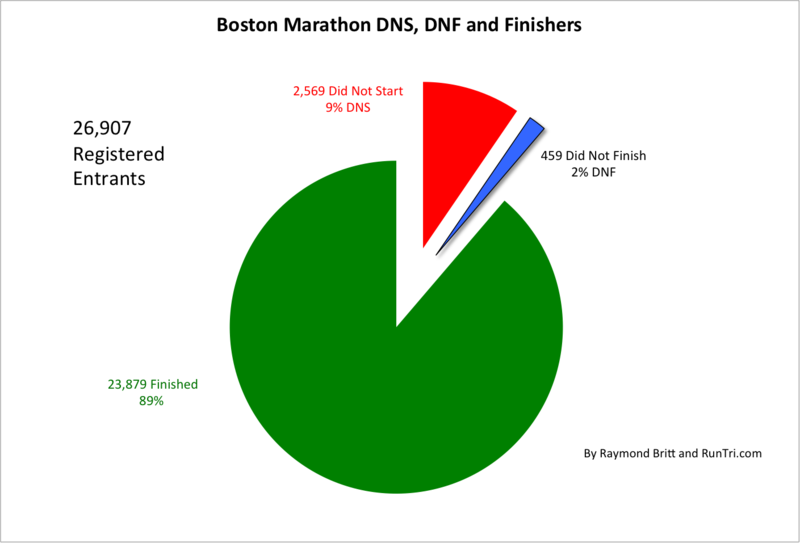 The DNS (Did Not Start) rate was 9.5%, 2,579 runners. The high DNS rate was fairly consistent across age groups. 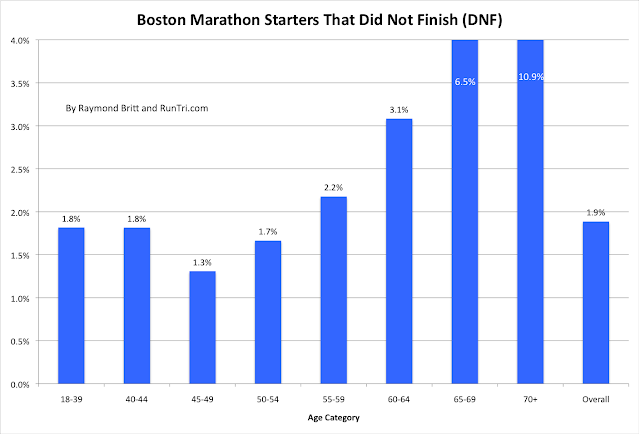 Such a pity, considering the thousands of runners who qualified to enter the race, but were denied entrance due to race size limits.